Discussion in 'Accessories' started by t456, Jul 9, 2018. It also got me thinking; I've got one of these things collecting dust ! Found it in the 'projects pile' and remembered why it was there in the first place; bad cable. Also recalled this was the best mouse I've ever had ... sleek, low-profile, light-weight and superb tracking. So why not, at long last, revive the poor thing and put it to use. Also have a bunch of silent micro-switches (to silence any mouse), so might as well do both mods at once. Kailh silent micro switches: ~$0.50/each on Aliexpress. Anyway, a great mouse indeed. But $1,000 ?!!! Surely there's a worthy successor on the market right now ? MahmoudDewy, Starlight5, Vasudev and 1 other person like this. That brings back memories. I had a Diamondback, not sure if it was a Plasma edition or not. But that price is crazy. I had a Boomslang back in the day when Razer contracted with BFG Technologies (a now defunct NVIDIA board partner) to produce them. I have a Diamondback somewhere with a dead scrollwheel, the red one. Wonder if I could get the wheel going again. The Plasma was not even that great of a mouse. I had *TWO* of them. It felt good and had a great shape. And that's all I can really say good about it. The plastic transparent grip material always melted eventually and became gross. And the plasma was nothing more than a "Bugfix" sensor for the BETA Sensor that was released with the Diamondback Salamander Red. The sensor that was pre-release but was rushed out by Razer, with a game stopping bug--on the first movement of the sensor, it would skip 2 pixels to the LEFT every time from neutral (but not up, down or to the right). This required a win32.sys patch to compensate as there were no firmware updates back then. The Plasma was supposed to be the release version of this sensor with the bug fixed, but this bug was only partially fixed, and I was the first person to even notice it. The bug would STILL occur from a windows fresh boot state if the mouse were left idle, and would fix itself if the mouse were picked up and the sensor reset on the surface by replanting. The bug could also reoccur if the sensor lost tracking strength /resolution on a poor surface, and if that happened, you had to lift the mouse up again to reset the sensor. And it was not that hard to make happen. Yet no one reported this except me (and I remember reporting it on the razerzone forums). 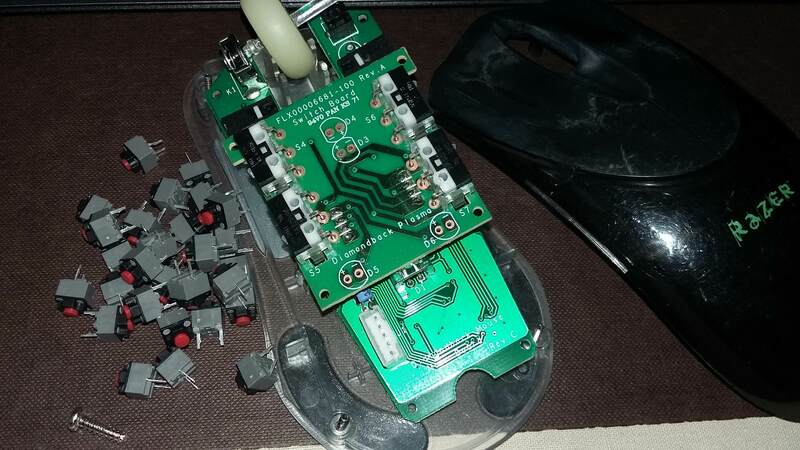 What's funny is that the ORIGINAL DEATHADDER would also sometimes have the same bug happen to it (usually only after windows first booted up with the mouse waking up after windows loads. The same bug with an initial pixel skip due to the sensor being calibrated to the surface wrong somehow). But it was much harder to happen than on the Plasma. But none were permanent like it was on the original Salmander red. I never saw this happen on the later V2 deathadders or the Black Edition or 3.5G. Soaked that and the primary buttons in gasoline overnight to get rid of the dirt and the weird rubbery coating, respectively. Too bad about the -2x px offset, but if it's just a one-off after every boot ... meh, will live with that. Shape, feel and profile is what made it great. Sensor is good enough, but being infrared it needs a decent mouse pad as well. So ... wish list: same profile, same primary buttons, programmable, 1,000 Hz natively, laser sensor (bug free) and, optionally, a cloth-wrapped cable. Does something singular like that exist? Main board says 'Rev. 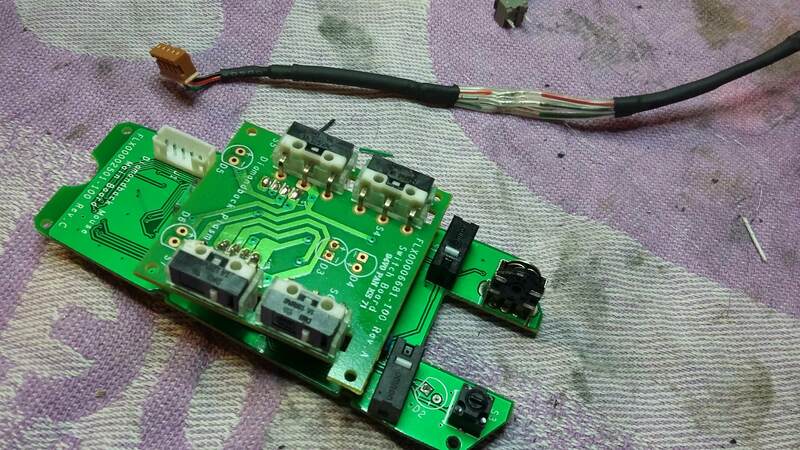 C', but the only pcb pictures online are from A's, so perhaps the firmware issue was fixed on this model. Is there a simple check? Oh I forgot to remind you. The BIGGEST problem with the diamondback and Plasma (original model) series were the CABLE! The cables ALWAYS Eventually got shorts in them. This was the most common complaint about them. Rarely did you hear about 'double click' issues. Besides the sensor problem, it was always the cable developing breaks in the internal wires! You *HAD* to literally BABY the mouse to stop that from happening. Aivxtla and Vasudev like this.